Licensing anglers to fish in the ocean seemed a novel idea twenty-five years ago, but it has greatly benefited both fish and fishermen. 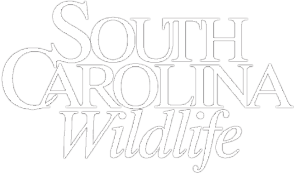 South Carolina's recreational saltwater fishing license, enacted more than twenty years ago over the objections of skeptics who considered it not just unnecessary but a violation of their "God given right" to fish in the ocean, has become a highly successful tool in managing the state's marine fisheries. As early as the 1960s, the concept of a saltwater license received consideration as a source of funding for managing coastal resources. But not until the late 1980s did the then S.C. Department of Wildlife and Marine Resources launch an organized push for such a license, arguing it would provide several key elements not previously available: a way to determine how many people fished in coastal waters and what they caught, and a dependable source of annual funding for programs that would benefit marine game fish and saltwater anglers. Some fishermen still viewed the oceans as a bottomless resource in no need of management, but gradually, even the most ardent "keep government out of my business" types began to grasp the problems inherent in increased fishing pressure and unregulated harvest of marine game fish. Still, the concept of a saltwater license remained a tough sell. Tourism interests, especially charter boat and head boat operators, along with the owners of commercial fishing piers, feared a saltwater license would hurt their businesses. Agency staff rallied grass roots support for the plan, speaking to as many groups as possible across the state about the overwhelming need for a reasonable user fee for saltwater fishing. It took seven years, but it worked; the state General Assembly enacted the saltwater stamp in 1992. 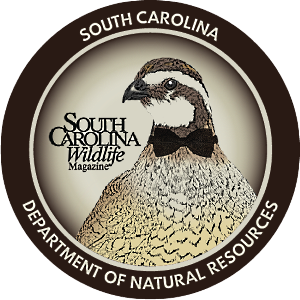 Patterned after the department's successful State Duck Stamp, the South Carolina Marine Recreational Fishing Stamp program included an annual art contest and the sale of a limited number of art prints to collectors. Annual stamps cost resident fishermen $5.50 per year and nonresidents $10.50. The legislation also set up a nine-member advisory panel to oversee the allocation of license revenue derived from the stamp - two appointed by the governor and seven by the legislative delegations of each coastal county - ensuring that funds generated by the sale of stamps would go to programs that directly benefit recreational fishing. The original proposal exempted those fishing from the beach, bank or any shore-based structure, as well as charter boats, head boats and fishing pier customers, requiring instead that operators of those vessels and structures purchase annual permits and keep detailed records of number of participants and what they caught. Only recreational anglers fishing from a private boat or gathering oysters and clams had to purchase a license. This system left a lot of fishermen uncounted and unknown, and cut into the revenue generated, but it was still a major advancement in the management of the state's marine recreational fisheries. 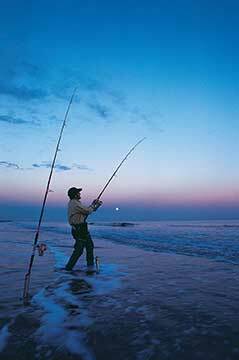 In its first year, the Marine Recreational Fishing Stamp generated $533,000 on sales of 81,000 stamps. The Marine Resources Division's artificial reef program, established in 1973, became the first beneficiary of this new source of revenue. 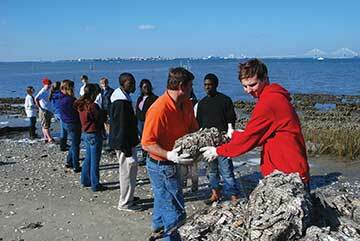 The reef program had never before received state funding except for personnel, but through the years had still managed to construct twenty-eight reefs using donated materials. Since 1992, the artificial reef program has nearly doubled and today includes forty-five sites, well-marked with buoys, spread evenly north to south along the coast. License funding also allowed for an increase in donated reef material. The South Carolina National Guard's Reef-Ex program has donated hundreds of thousands of dollars worth of material and services, and the Guard requires only that the S.C. Department of Natural Resources contribute a percentage of that value in the form of buoys, personnel time and underwater surveys, all paid for with license funds. License money also goes to match or reimburse private organizations wanting to build reefs. 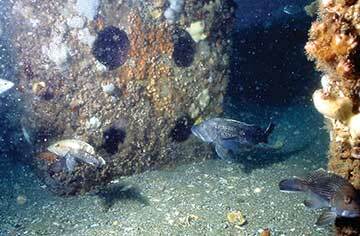 In addition, the DNR now has a much better idea of fishing pressure on reefs. A 2006 license-funded survey of 20,000 license holders found that anglers that year made 203,000 trips to the state's artificial reefs - one third of all saltwater fishing trips! Scuba divers that year made 1,900 reef trips. Half of anglers surveyed said they would undertake fewer fishing trips without the reefs. The 2006 survey also found that anglers fishing the state's reefs spent approximately $83 million annually for fuel, bait, tackle, meals, accommodations and other items. That economic activity generated an estimated 1,000 coastal jobs. The angler survey concluded that the artificial reef system "is clearly a significant component of the entire S.C. coastal economy." Once researchers had the ability to identify license holders, they immediately began a broad-based survey program that painted a more complete picture of recreational saltwater fishing in South Carolina. The first ever survey of flounder gigging, for example, showed the extent of this fishery - information that resulted in changes in size and catch limits for flounder. Surveys also determined how many license holders gather oysters and clams. "Previously we had no idea who harvested shellfish recreationally, or where," says Marine Division Assistant Deputy Director David Whitaker. "Now we know which shellfish beds get the most use and need the most replanting. We always assumed that the recreational harvest of crabs amounted to about 10 percent of the commercial catch," he adds, "but through surveys of license holders, we discovered the recreational catch equals 25 to 30 percent of the commercial catch." Surveys of the state's fifteen commercial saltwater fishing piers indicate that participation has increased from 131,000 trips in 1999 to 265,000 trips in 2012, including many anglers who make multiple trips per year. The requirement for pier operators to report how many people fish each day and the extent of their catch has allowed researchers to accurately gather participation level and catch data. The data collected through all these surveys have helped the federal South Atlantic Fisheries Management Council and the regional Atlantic States Marine Fisheries Commission prepare management plans for saltwater fishes that occur in both state and federal waters. 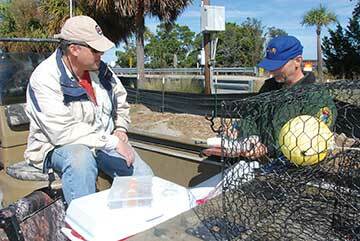 The saltwater license program has also helped replant public shellfish grounds and conduct shellfish research, and funding for experimental fish stocking has yielded new information on the life histories of important game fish such as red drum and cobia. 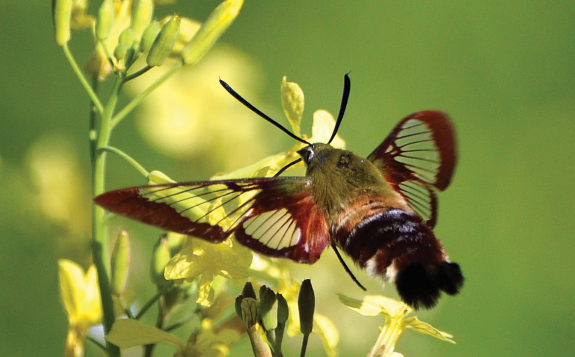 Educational efforts keep the fishing public informed of the life cycles of sought after species and encourage conservation of these resources. The Marine Division also works with coastal counties to build public piers. Despite initial opposition from some quarters, the saltwater license now has the acceptance of most fishermen. Even charter captains, many of whom at first disliked the concept and the added burden of record keeping, now have seen the benefits. "Having to fill out the forms every night takes a lot of time, but I see the importance of it," says Mike McDonald, a twenty-year full-time captain out of Georgetown. 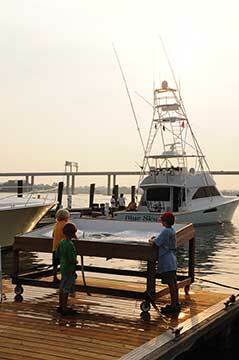 McDonald takes out mostly tourists from the Grand Strand to catch red drum, trout and flounder. McDonald believes fishing has improved in the last ten years, thanks in part to stricter limits on popular species such as red drum, and recognizes that saltwater license-funded research helped make the case for lowering the limit on red drum, first from twenty fish per day to five, and now three, per day. McDonald, who says 99 percent of his customers release the fish they catch, has pushed for a two fish per day limit. Bill Parker, a full-time Hilton Head charter boat captain for almost thirty years, while initially skeptical, is now a believer. "The saltwater license has had a positive impact for charter captains and anglers in general," says Parker, "especially because of increased reef construction." Parker bottom fishes around structure, preferring nearshore reefs such as Parris Island, White Water and General Gordon, where he catches sheepshead, cobia and black seabass. In the summer and early fall he takes his customers farther offshore to the Betsy Ross reef for Spanish mackerel and spadefish. "I don't know what we would do without them," he says of the state's artificial reefs, echoing the sentiments of many coastal anglers. "DNR uses license funds effectively and efficiently," he adds, noting how the agency has worked with local clubs on reef construction. Parker considers the record keeping required of him as a charter captain worth the time and effort. Besides, he says, "It's nice to be able to tell customers they don't need a license to fish with me." 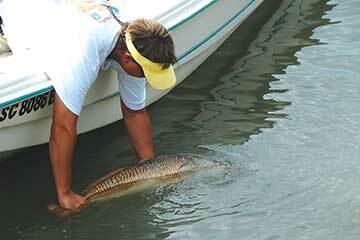 The saltwater license program has undergone three major changes since its creation twenty-two years ago. The demand for the art prints began to wane after about ten years, and the "stamp" concept was updated to simply a license. In 2002, the cost of the annual license increased to $10 for residents and $35 for nonresidents, still a bargain when compared to other southeastern states. "The price increase occurred just as the recession began, and our division really took a hit in state funding [during that time]," says Whitaker. "Without the license revenue we would have had to cut programs." 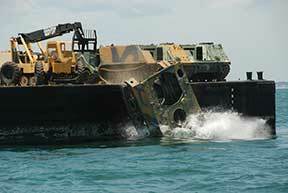 License funding now makes up 15 to 20 percent of the Marine Division's budget. In 2009, the U.S. Congress, seeking to gather more accurate recreational fishing data, instituted a federal registry to improve estimates of recreational catch and effort. 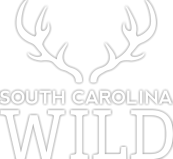 In order to exempt licensed state anglers from the federal registry, which had a fee of $25, South Carolina modified the existing license law to include those shore-based anglers so carefully left out originally. The expansion also added recreational crabbers and shrimpers to those required to purchase a license. Those latter changes caused sales to jump dramatically, especially in the non-resident temporary category, which went from 16 percent of licenses sold annually to 30 percent, an indication of just how many tourists fish in the state's coastal waters. Annual resident licenses, which had previously made up about 70 percent of sales, now account for only about 57 percent. Since 1992, license sales have increased steadily, with almost 224,000 sold in 2013. 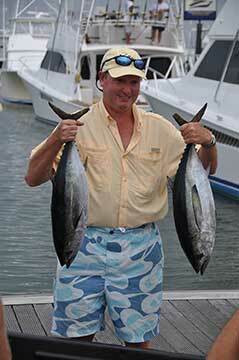 By all accounts, the results of the saltwater license program have lived up to their billing. Better information on fishing effort and catch has resulted in improved management through science-based size and catch limits. Increased revenue from reliable funding has allowed for artificial reef expansion, replanting of public shellfish grounds and a variety of research on game fish, and funding for education efforts has produced a better informed, more conservation-minded fishing public. The saltwater license has silenced its early critics by greatly improving South Carolina's coastal fishing without turning away tourists or placing an undue financial burden on state residents. Pete Laurie is a freelance writer living on John's Island.